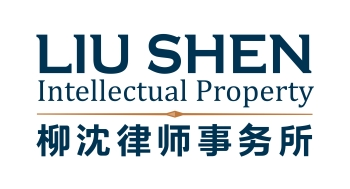 Disputes over the licensing of Standard Essential Patent (“SEP”) have attracted many attentions in the world. When SEP cases appear, they become hot topics immediately among SEP owners, SEP implementers, patent attorneys and scholars. To calculate a fair, reasonable and non-discriminatory (FRAND) royalty of SEP, the first step is to select a suitable base for the calculation. In the last decades, the US courts mainly applied two very different frameworks for determining bases for the royalty calculation in the cases of SEP licensing, i.e. the entire market value rule (EMVR) and the smallest salable patent practicing unit (SSPPU) principle. From its judicial practice, it can be seen that the courts swings between the two bases. In Rite-Hite Corp. v. Kelley Co., Inc. (1995), the United States Court of Appeals for the Federal Circuit (CAFC)established several conditions for applying the EMVR. The central guiding principle for allowing reliance on the EMVR is that the patented feature creates the basis for customer demand for the entire product. By applying the EMVR, the patentee can recover damages based on the value of entire product, not just the specific component implementing the patent. However, some scholars opine that in the context of multi-component products, applying the EMVR may cause the issue of royalty stacking. For example, the EMVR allows one patentee to capture an excessively high royalty which covers not only the value of the part implementing the patent at issue, but also the values of the parts implementing the patents of other patentees. Some other scholars opine that, aside from the value of the patented components and the unpatented components of the sold product, the revenue of the entire product further originates from the value from the efforts made by the manufacturer, such as the investment for R&D and sales, and the advertisement. Therefore, applying EMVR as the calculation basis would overcompensate the patentee. The concept of the SSPPU was proposed in calculation of the damage in the case of Cornell University v. Hewlett-Packard Co. (2009). In this case, the patentee tried to use the value of the servers as the calculation base for its SEP, but was rejected by the court. The patentee then attempted to use the CPU bricks in the servers as the base. The court also rejected this attempt as the court held that the patent-in-suit is only directed at an instruction buffer in the CPU bricks of the servers, and for such a multi-component product, the SSPPU with close relation to the claimed invention should be used for calculation of damages. After that case, using SSPPU as the royalty calculation base is widely accepted in SEP cases in several subsequent years. For example, in Microsoft Corp. v. Motorola (2012) which was related to the WiFi and H.264 standards, the court held that the price of the end product (i.e. Xbox) should not be used as the royalty calculation base because this will cause royalty stacking, and it determined the royalty based on the price of the WiFi chip. Similarly, in In re Innovatio IP Ventures (2013) which is also related to the WiFi standard, the court also determined the royalty based on the price of the WiFi chip on the ground that using those end-products as a royalty calculation base would include value far beyond the value of the patented features of the WiFi standard. Disputes also arose regarding the SSPPU principle. Some people questioned that the recovery of damages may be excessively low if the SSPPU is used as the basis for royalty calculation, as for example, it fails to account for how the invention may improve the final product as a whole beyond just the patent-practicing unit. Moreover, the SSPPU is not in line with the licensing negotiation convention in the real world. In the years afterwards, the US courts went back to the EMVR. In Ericsson, Inc. v D-Link Sys, Inc. (Fed Cir 2014) related to the WiFi standard, the Federal Circuit held that “something more than a general argument that these phenomena (patent hold-up and royalty stacking) are possible is necessary.” In CSIRO v. CISCO SYSTEMS, INC. (2015) which was also related to the WiFi standard, the Federal Circuit held that “the rule Cisco advances – which would require all damages models to begin with the smallest salable patent-practicing unit – is untenable”. In the closer case TCL v. Ericsson, slip op. (2017) related to 2G, 3G and 4G telecommunication standards, the court used the EMVR as the base for royalty calculation without considering SSPPU. Among the many SEP cases arose in China, So far, the SSPPU has not been applied in any of these cases. In Huawei v. IDC (2013) the royalty calculation was based on the price of the entire product. However, in another case, the National Development and Reform Commission (NDRC) v. Qualcomm, the royalty calculation base was adjusted from the value of the entire produce to 65% of the price of the mobile phone, which may be more reasonable adjustment to the EMVR as many scholars believe. With the development of technologies, more complicated situations may appear. For example, the mobile communication standard, which is currently only used in personal mobile terminals, may also be applied to smart home appliances or other newly developed final products. Accordingly, more considerations are needed to select a proper base for the royalty calculation of SEP and determine the royalty. It may be expected that the dispute in this regard will continue.